Get the family together and announce the big news! 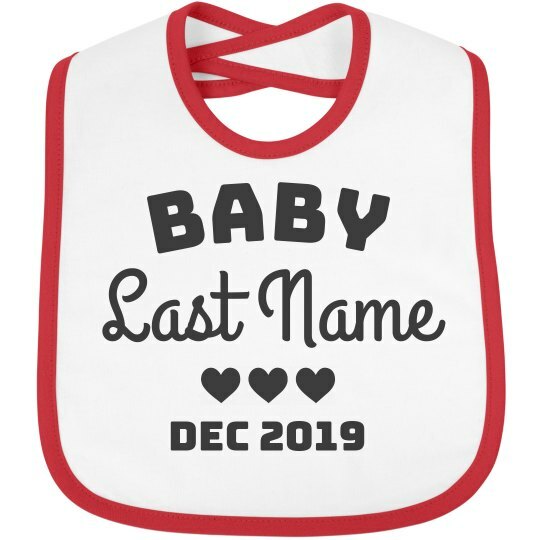 Get creative and show off your surprise bun in the oven with a custom baby bib. Add your last name and adjust the date to when you're due for complete personalization.